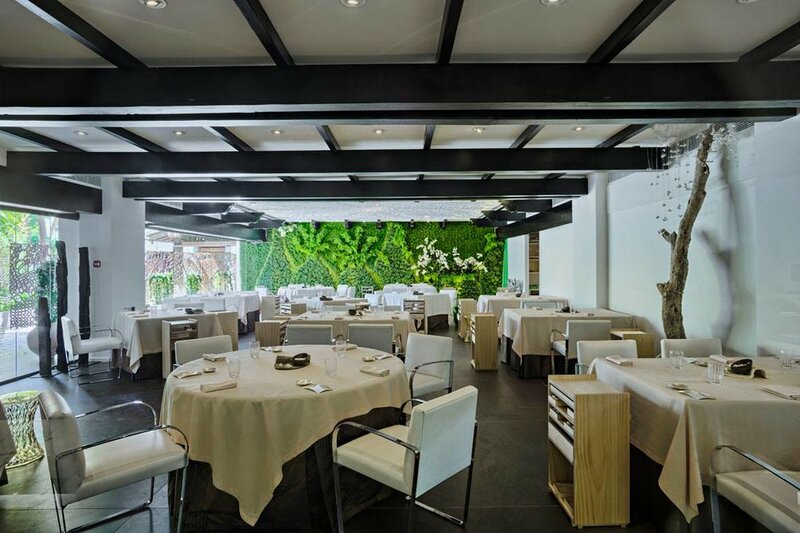 The most creative cuisine direct from Dani Garcia and his three Michelin Stars can be experienced at Puente Romano. 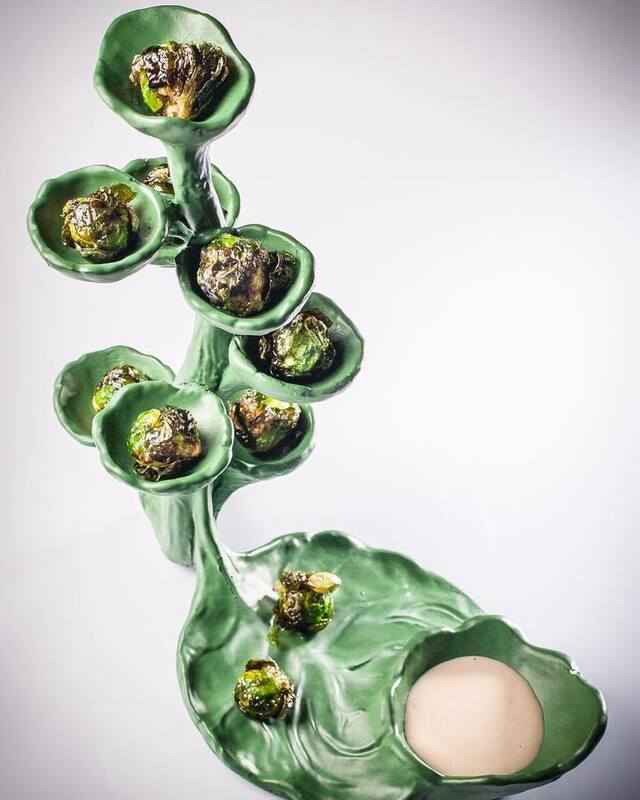 The Malaga Chef and his kitchen of ‘contradiction’ presents ‘Dani García Restaurant’, an innovative gastronomic experience, where the forefront of cooking techniques are applied to traditional Andalusian recipes. The tasting menu “Once Upon a Time” features the contrast of hot & cold playing heavily with textures and opposing flavours. This menu will surprise you on many levels due to Dani Garcia’s commitment to producing daring, creative dishes using high quality ingredients, resulting in a more edgy version of the traditional. 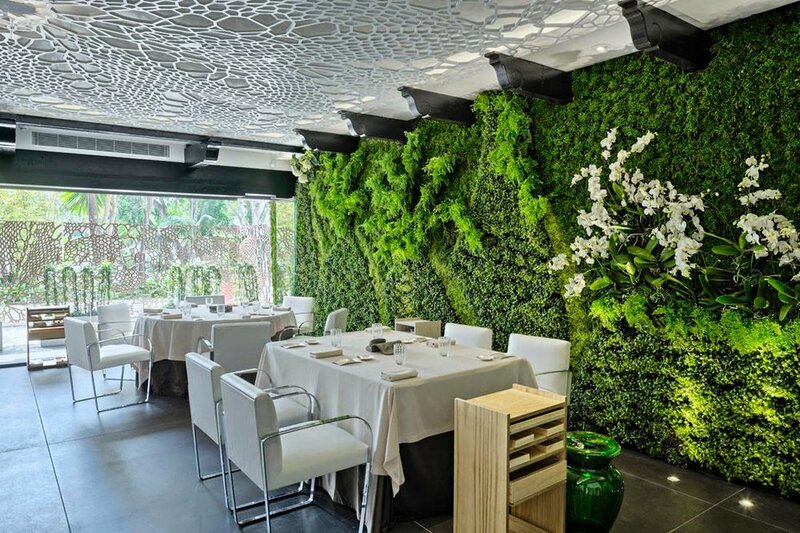 Dani Garcia offers this gastronomical experience through the tasting menu and a la carte. An intimate restaurant with open plan kitchens, where every member of staff works towards the same goal – to offer you an authentic, gastronomical journey of excellence.